Warner Bros has announced that the star of Gigli, Jersey Girl and Pearl Harbor will be the new Dark Knight. 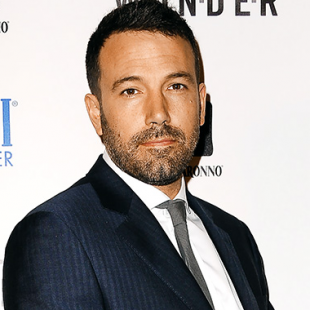 We won't deny that Ben Affleck has done some good work in his career. In fact, recent years have seen him at the helm of some genuinely excellent films. Argo which he starred in and directed, won an Oscar for Best Picture, while some of his other recent efforts have also managed to garner considerable praise from critics. That being said, Affleck has also had starred in more than a few stinkers in his day. Among these is Daredevil, arguably one of the most disappointing superhero films ever made. Keeping that flop in mind, Warner Brothers has announced that Affleck will be taking up the cape and cowl as the new Batman in the recently announced sequel to Man of Steel. "We are so thrilled that Ben is continuing Warner Bros.' remarkable legacy with the character of Batman," said Warner Brothers' Sue Kroll. "He is a tremendously gifted actor who will make this role his own in this already much-anticipated pairing of these two beloved heroes." Man of Steel director Zack Snyder offered similarly sentiments. "Ben provides an interesting counter-balance to Henry's Superman," he said. "He has the acting chops to create a layered portrayal of a man who is older and wiser than Clark Kent and bears the scars of a seasoned crime fighter, but retain the charm that the world sees in billionaire Bruce Wayne." Again, we're going to try and remember here that Affleck has arguably proven himself a more capable filmmaker than his earlier career might have suggested possible. We'll also raise the example of Heath Ledger, whom nobody could see as the Joker when that was announced. He rocked that role and Affleck has every chance of doing the same as Batman. Still, Ben Affleck being the new Batman raises some questions. For instance, do you think he'll try his own version of Christian Bale's Batman voice? Because, even as we're trying to be fair to the man, the mental image of Ben Affleck growling "swear to me!" is making us laugh. We're sorry Ben, we really are.